Penistone Church F.C. 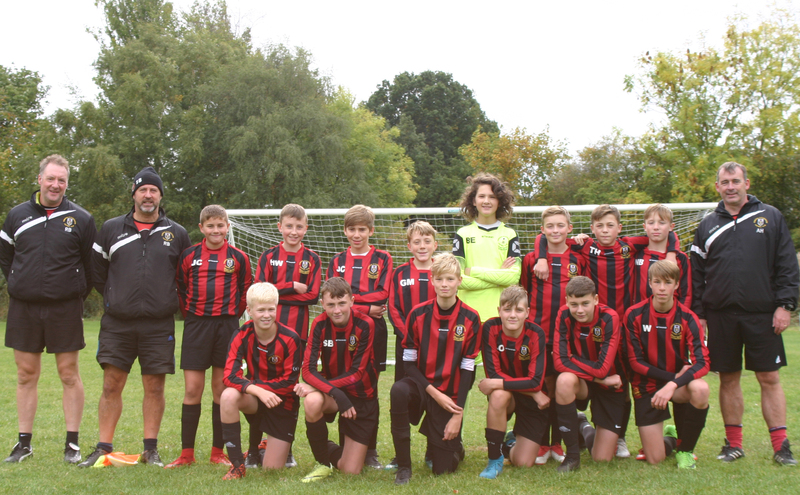 (SUN-Youth) U14 0 vs. 4 Gomersal & Cleckheaton U14 White - 25 November 2018 - Under 14 White - Gomersal & Cleckheaton F.C. Great game and easily the best team performance of the season, including a clean sheet so the 6 players at the back winning their 1st clean sheet bonus. It was a slow start but the boys soon got into the game against a very good passing Penistone team. The fist goal came after a great assist from Niall Brown and Tim Hill finished well. It stayed that way until half time but the boys started to play better football. The 2nd goal came on 42 minutes after great work and passing between Tim Hill and Sam Bottomley, Tim Hill could of shot but unselfishly passed by to Sam Bottomley who finished coolly and slotted in the top corner. The 3rd followed soon after a free kick was won which Tim Hill delivered into the box for George Boulton to head home. The boys really relaxed and played some great passing football. Eventually the 4th followed with great work by Luke Oldcorn and then finishing well was the MOM Tim Hill. This was a truly great team performance with the only downside Josh Carney going off with a suspected broken arm, but following a check up thankfully it wasn't broken. There were really strong performances all round, special mentions to Elliot Atkinson, who made the difference up front, Sam Bottomley for his usual energy all over the pitch and his constant winding up of the opposition, Lewis Wilkinson, Callum Snowden, George Boulton and Alex Hughes were strong and outstanding at the back supported superbly by Bryn Evans who didn't put a foot wrong. Luke Oldcorn our 'Mr utility' was superb everywhere we put him, Harvey Walker also had his strongest game this season and Niall Brown was constant threat. Gilbert Clough also played his part having already played 70 minutes this morning and played some good football. Well done boys, the coaches were very proud of you all today.